Winter is finally over, and it probably left behind some dirt and grime on many parts of your home, leaving you with more than a few spring cleaning duties. Fortunately, cleaning with a pressure washer during springtime allows you to breathe life back into your home quickly and with minimal effort. 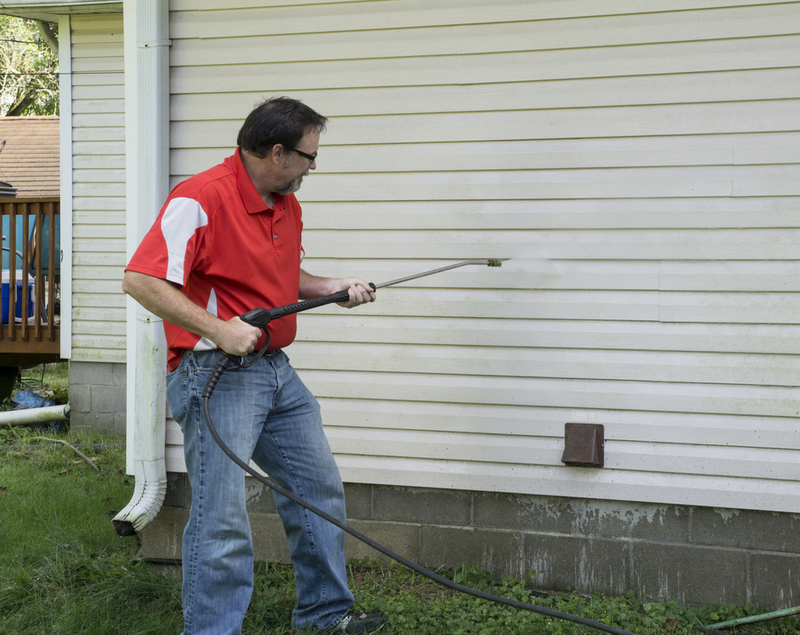 ProCoat Painting has been offering high-performance pressure washing services in Batavia, OH, for over 30 years. They have a team of skilled, OSHA-certified contractors ready to strip your home clean with a high-powered pressure washer. A Better View of Everything: If you want to rid your home’s exterior of dirt and grime, there’s no better time to do it than in the spring. Snow can hide a lot of stains and dirt on your home's siding and pavement. Now that all of it has melted away, you can easily spot the areas that require deep cleaning. Aside from providing you with a better view of your property, spring also makes it easier to access key areas on your property without the threat of slipping and sliding. Gets Rid of Winter Grime Before It Becomes Permanent: Deep-seated winter grime can cause permanent damage and dulling on your property if you allow it to cure under the heat of the sun. Neglecting to get rid of the stain and dirt brought by winter can have costly implications if not acted on as soon as possible. Optimal Time of Year for Pressure Washing: Pressure washing during the winter season can leave your home ridden with frost. Doing the job during fall isn’t likely to give you good results either due to the number of falling leaves creating distractions and interrupting work, and most of us would rather not be using a pressure washer outdoors on a hot summer day. Spring provides the perfect weather conditions for pressure washing. Spring cleaning with a pressure washer will give your property a transformational look, and ProCoat Painting will give your home the makeover it deserves without requiring you to spend a fortune. Call (513) 735-2500 or visit their website for details. You can also find their team on Twitter.